Use Wolfgang Paintwork Polish Enhancer before using Wolfgang Deep Gloss Paint Sealant 3.0 or Wolfgang Füzion Estate Wax for the first time to promote better bonding a a deeper shine. As needed, use Wolfgang Paintwork Polish Enhancer prior to wax or sealant application to rid the paint of wax build-up and contamination. This 2006 Honda Civic in Royal Blue Peral was washed with Wolfgang Auto Bathe, polished with Wolfgang Paintwork Polish Enhancer, and then topped with Wolfgang Deep Gloss Paint Sealant. Photo by Jeff W. from Ohio. Pour a nickel-size amount of Wolfgang Paintwork Polish Enhancer onto a clean microfiber applicator pad. This should be enough to cover a quarter of the hood or half of the fender. Spread the polish across the section in an overlapping motion. Allow a slight haze to form. Use a clean microfiber towel to buff the surface to a bright shine. Apply Wolfgang Paintwork Polish Enhancer with a soft foam applicator. Use a white polishing pad on a dual action polisher, like the Porter Cable 7424XP. If you prefer a softer pad, use a gray finishing pad. 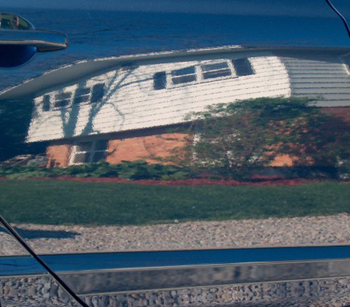 Apply Wolfgang Deep Gloss Paint Sealant 3.0 or Wolfgang Füzion Estate Wax to protect the newly polished paint. Click here to read Mike Phillips' review of Wolfgang Paintwork Polish Enhancer.